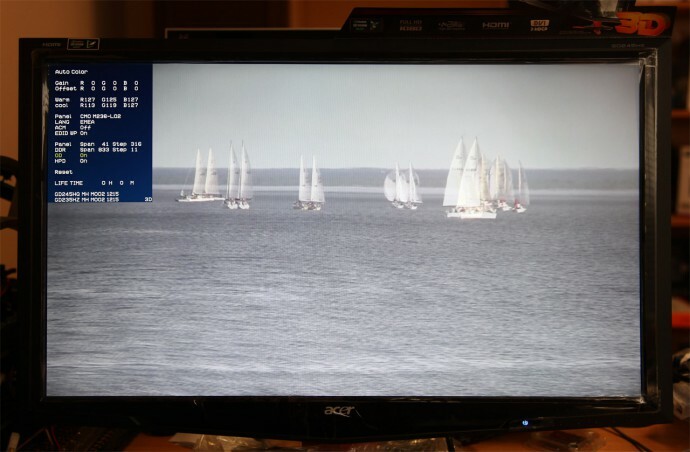 The crosstalk or ghosting of images (leaking of part of the image for the left eye into the right eye and vice versa) is a common problem with the current generation of 3D-capable 120Hz LCD monitors with different factors influencing it. One of the common issues is that the LCD panels are still not fast enough in terms of response time and because of that the monitor manufacturers resort to the so called Overdrive function (using more voltage to drive the pixel change state faster) in order to increase the pixel response rate. This works to some extent, but may as well lead to other issues like burnt colors resulting in colored ghosting visible in stereo 3D mode for example. Another common cause for ghosting is having brighter colors on darker backgrounds or vice versa, especially if the separation between the left and the right eye is higher. And then again there is the so called top and bottom ghosting that represents more ghosting on the top and at the bottom of the screen that is usually caused by not so good timing with the image on the screen and the shutter glasses. 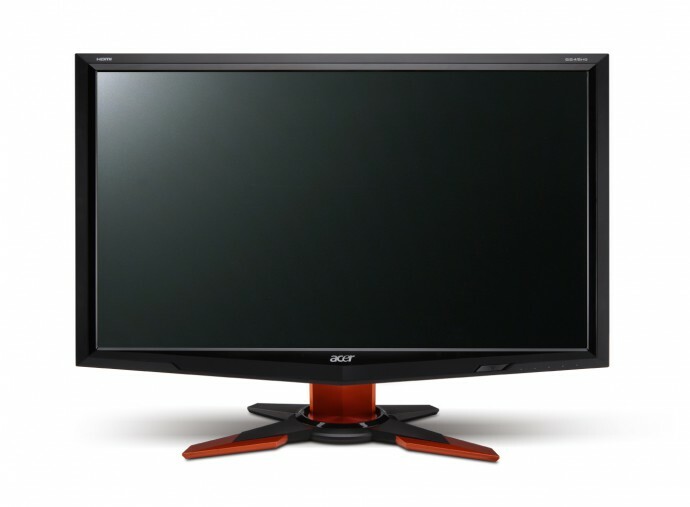 And since I’ve been trying different methods of reducing ghosting lately, here comes another effective solution that can help you reduce the ghosting when playing in stereo 3D mode with an Acer GD245HQ or Acer GD235HZ 120Hz LCD monitors. The solution is based on custom modifying the color temperature levels of the monitor from the Service Menu that is usually not available to the normal user, but you can call it if you know how to do it. 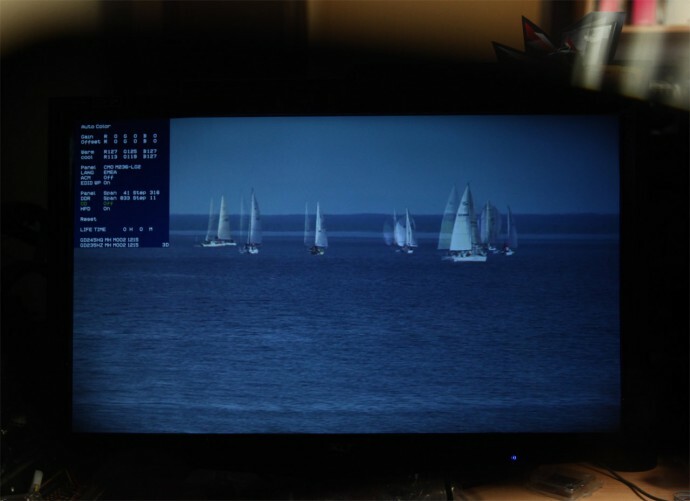 The good news is that the same method might also work with the ViewSonic VX2268WM (I’m already working on that, so stay tuned), but will unfortunately not help the owners of the Samsung 2233RZ as the Service Menu of that model is not so good in terms of additional controls available. Lets get back on the Acer. For the following examples I’ll be using a short demo video shot by the user 3D Frank shared over at Nvidia’s 3D Vision forums that is a great example for ghosting, you can find a download link at the bottom of the post if you wish to try it on your monitor. Have in mind that the following ghost reduction method works not only when watching stereo 3D videos, but also with 3D photos and when playing games in stereo 3D. Lets me start with how the display looks by default when showing a stereo 3D image and you are not looking through the shutter glasses. The blue menu in the top left corner is the service menu that is showing the default options for the display, as you can see the Overdrive (OD) function is active and on the screen you can practically see doubled images of the boats and burnt out colors of the most bright white on the sailboats. 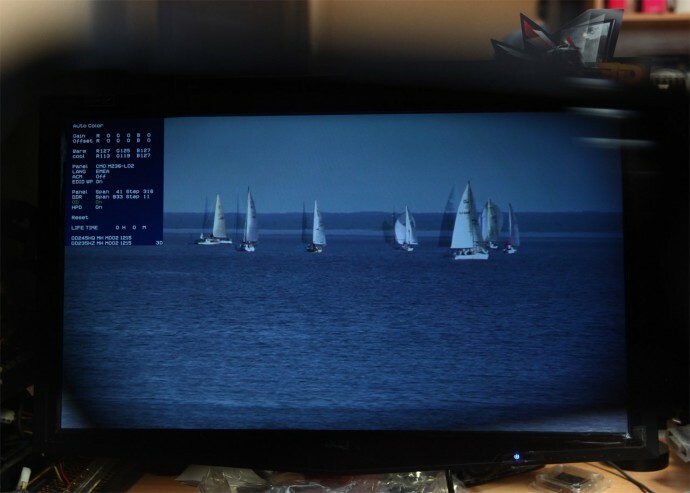 When you put on the glasses instead of doubled sailboats you’ll start seeing ghosting which looks like shadows as you can see on the picture above taken through the right lens of the shutter glasses. Again here we still have the Overdrive function of the display active. 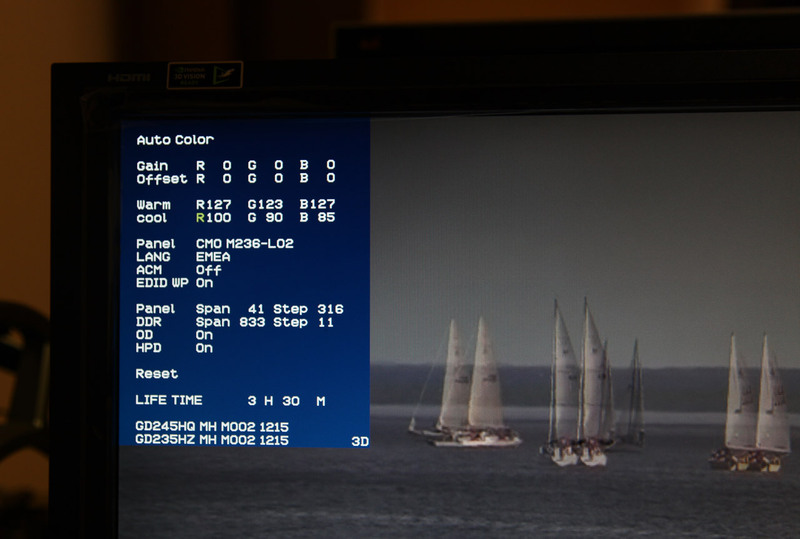 Overdrive is still disabled, but now looking through the glasses you can see significant difference in the image as compared to looking through the shutter glasses with the Overdrive function enabled. Instead of just some shadows the ghosting here is so severe that you still see doubled objects, although a bit more faint than when looking without the glasses. This is just to give you an idea of what can happen when the response time of the pixels is not good enough and why monitor manufacturers are using Overdrive on the LCD panels. Now comes the fun part. I’ve decided to use the Cool temperature preset available in the Service Menu to modify in order to reduce the ghosting. So the new settings that I’ve defined for it are 100 for Red, 90 for Green and 85 for Blue. Although I’m using the Cool preset my settings are warmer because the Red color is higher (you can decrease it to about 85-90 to get cooler temperature), but I prefer the Warm color temperature and this makes it easier to compare it with the default Warm preset. After doing the tweaking of the Cool preset from the Service Menu of the monitor you need to turn off the monitor and then turn it back on normally to get to the normal monitor menu, where you need to select the Cool preset in the Colour Temp settings in order for the things to work and you to have less ghosting. You can cycle between the Cool and Warm color presets to see the difference, the Warm preset should have easily noticeable color ghosting while the custom Cool preset should have hardly any visible ghosting. And so how does the tweaked settings look like in terms of ghosting, you can see in the picture above taken through the right lens of the shutter glasses. 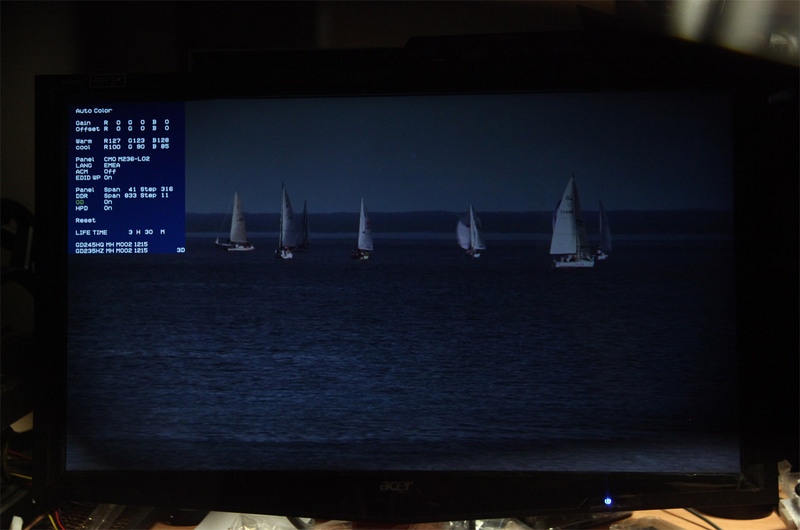 There is hardly any visible ghosting left, although if you look up close and carefully you may still notice some very faint traces, but that should not bother you when using the monitor normally as it is hardly visible anymore. Before and after this tweak you can try a game like Tomb Raider: Underworld with a separation of lest say 50%-100% (depending on how much you can handle) in order to have high separation and to compare the ghosting. You will however see that there is still some top monitor ghosting, it seems unaffected as it is probably caused by synchronization timing issue whit the shutter glasses and that is why the above tweak does not affect it. 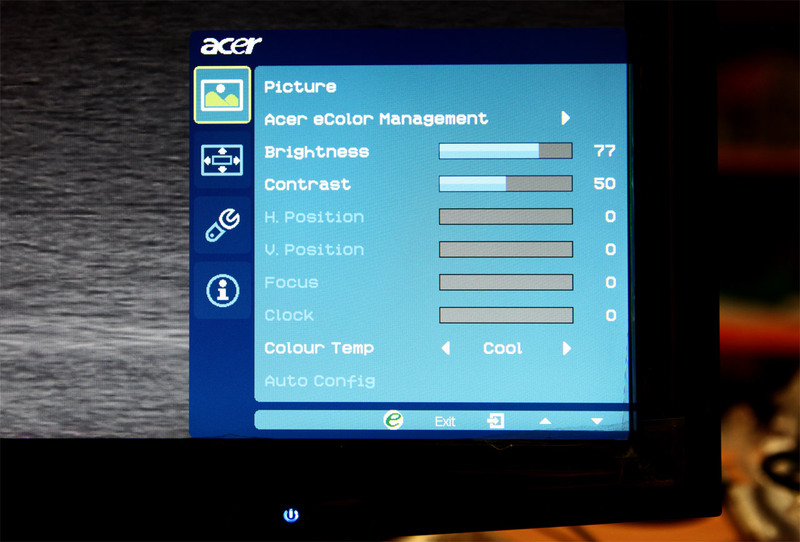 Still the end result where you don’t have burnt colors, color ghosting and almost no ghosting at all is completely worth it if you ask me, so if you own an Acer GD245HQ or Acer GD235HZ monitor I recommend you try my tweak and report your results in the comments below. what’s the basic difference between ghost image or crosstalk? There is no difference, both refer to the same thing in stereo 3D mode… part of the image intended for one eye also seen by the other. I read in newspaper that FPR 3d tvs are cross talk free and flicker free which are claimed by LG. In the war of words every one claims a lot, LG is doing the same. LG had claimed the same, but ghosting (cross talk) problem can’t be eliminated 100% it is still there in 3D TVs………. This actually works really good and i would like to thank OP for this guide! I got a question. When I make the changes you suggest, they don’t apply to In-Game settings. 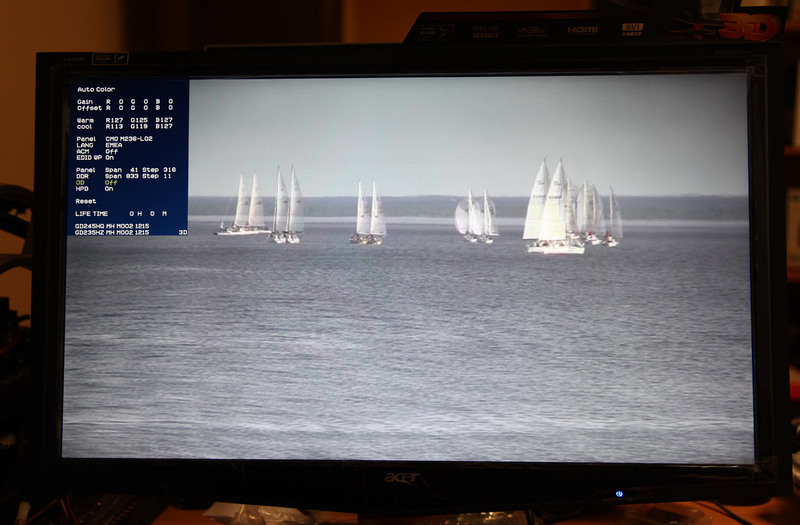 Basically at the desktop, in “2D mode” I can make any changes to the factory settings I want. But when I go into a game, the “3D” settings kick in, which are separate R G B. Basically when I go into a game, the R G B factory settings revert back to stock pre-sets. Additionally the contrast setting changes, as well, AND I can’t adjust brightness at all. Is there a way to do these tweaks for 3D gaming? Thanks. I forgot to mention that if I try to make changes while in game, while monitor is running in 3D mode, the R G B options for warm and cool seem to be locked. So my main question is, how do I unlock them, or is there another way to get the changes to apply to PC games in 3D. Thanks. I know I’m late to comment but I just wanted to post my thanks for this guide. I was *horrified* at the amount haloing around fonts when I brought this display home but turning overdrive off fixed the issue entirely. Barring a slight bleeding at the bottom of the display it’s now almost as good as the Dell IPS sitting next to it. Thanks for sharing this tweak. It looks much better without the overdrive. One question though. Whenever I disable overdrive the monitor doesn’t seem to remember my brighness/contrast settings. So, when I turn it off and back on, the display will be bright 100% again. Any ideas? Thanks for sharing this. I used it when I first got my monitor a few years back but continued being frustrated with the ghosting… turns out I accidentally flipped overdrive off while in the advanced settings! Looks great now! Can this be done with the acer h236hl ?